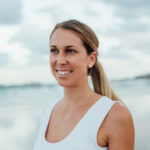 Stacey teaches yoga with the intention to teach kids the life skills they need to be calm, compassionate and courageous. 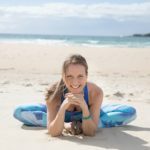 As a Registered Children’s Yoga Teacher, she has taught in schools, yoga studios, festivals, mental health and hospital wards for over a decade. With the desire to share yoga with as many kids and teens as possible, Stacey created her own teacher training school, “Inspired Kids Yoga”. Her classes are a balanced blend of fun and calm. Affirmations; relaxation and breathing techniques are woven in seamlessly throughout the class. Through storytelling, your little yogi will be engaged the whole time as they explore balance, strength and flexibility through yoga poses. They will then be guided into a state of relaxation where they can enjoy the experience of feeling calm and quiet. Having taught yoga since 2005, Stacey has explored many different styles of yoga. Her in-depth knowledge coupled with her vast teaching experience has led her to be a facilitator of Level 1 and 2 Yoga Teacher Trainings, a presenter at Yoga festivals and a mentor for other yoga teachers. Stacey will draw upon this experience to teach therapeutic themed classes for teens and Mums.